When a person passes away, that person’s assets and liabilities need to be settled and in order for that to happen, a probate action may be needed. Should it be needed and if the decedent has a Will, it will be filed with the court and a personal representative will be designated and letters of administration will be issued. 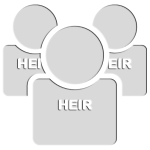 An heir will need Letters of Administration and an Order Appointing Personal Representative in order to act on behalf of the estate and open and close bank accounts etc. A probate action can be filed and processed without an attorney, but we would advise you to seek the advice of an attorney to determine if your case is more complex than the average case and should be reviewed by an attorney. Call today to schedule your initial consultation.